QVC has agreed to pay $7.5 million to settle Federal Trade Commission charges that it made false and unsubstantiated claims about three types of dietary supplements in violation of an FTC order, and about an anti-cellulite skin cream in violation of the FTC Act. The agency alleged that QVC violated a 2000 FTC order barring it from making deceptive claims for dietary supplements. According to the Commission, QVC aired approximately 200 programs in which false and unsubstantiated claims were made about For Women Only weight-loss pills; Lite Bites weight-loss food bars and shakes; and Bee-Alive Royal Jelly energy supplements. 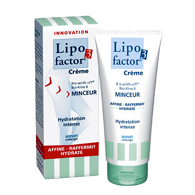 In addition, the complaint charged that QVC violated Section 5 of the FTC Act by making unsubstantiated claims about Lipofactor Cellulite Target Lotion. The settlement requires QVC to pay $6 million for consumer redress and a $1.5 million civil penalty. In addition, the settlement expands the prior FTC order and further bars QVC from making unsubstantiated claims that any drug or cosmetic eliminates or reduces a user’s cellulite. The entire sordid history and QVC case file can be accessed here. QVC needs to stop running infomercials be Kevin Trudeau. Trudeau has a reputation for credit card fraud and people who have done business with him have found unauthorized charges to their credit and debit cards. Stay far away from anything connected with this twice convicted fraudster! !